Modern smartphones have made incredible technological leaps since their inception, replacing most day-to-day personal communication and organizational tools to just a simple block of glass, metal and plastic in our pockets. But while our dear smartphones can do virtually anything from augmented-reality stickers to booking a car ride home with a few taps, battery life is still quite a sore point for many users. Most phones tend to only last barely a day with heavy use – two days if used minimally – before we’re already reaching for the charger. As such, Huawei only saw it fit to equip the new Mate 20 Pro with a whopping 4,200 mAh battery while the Mate 20 sports a large 4000 mAh to meet the needs of its users. 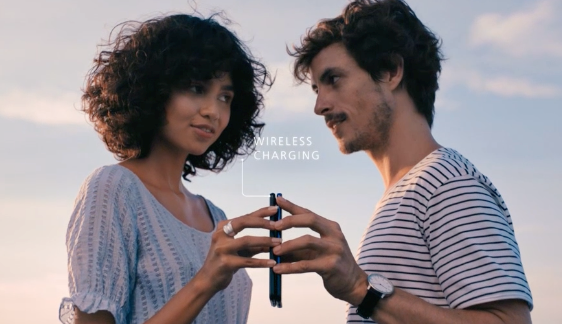 Both devices will support HUAWEI’s very own SuperCharge technology that allows user to charge their device up to 70 percent in half an hour. The Mate 20 is equipped with 22.5W SuperCharge which makes both Mate 20 Pro and Mate 20 the fastest wireless charging devices in the market. When asked regarding the technology behind the fast charging system of the Mate 20 Series, Yang Chengjun, Huawei Charging and Battery Expert, mentioned that Huawei focuses its design concept through capability model which is divided into four categories: Speed, Capacity, Compatibility and Safety. Yang mentioned that these categories are some of the key players for the brand to introduce the most powerful battery in a smartphone yet! Mr. Chengjun also said that “Batteries are an important aspect of every smartphone especially to the digital world we currently live in. We all want real time updates and we want to stay connected with our loved ones every minute of our lives. With Huawei Mate 20 and Mate 20 Pro’s battery capabilities, you can now enjoy a more fulfilled life with a higher intelligence and unappalled battery lives. Complementing that massive upgrade to the power cell are a couple of truly convenient and helpful charging solutions in the form of Huawei SuperCharge, Wireless Quick Charge, and Reverse Charging. Huawei’s proprietary SuperCharge feature has been a mainstay for their phones for quite some time, but the company has upgraded it once again to provide faster charging times. Users can now plug in their Mate 20 Pro and get up to 70% battery in 30 minutes – more than a day’s worth of power in the time it takes for one to get dressed or eat lunch. More importantly, the 40W SuperCharge is TUV Safety Certified, meaning these blazing fast top-ups are always worry-free. The stunning glass back on the Huawei Mate 20 Pro isn’t only for show – it accommodates the phone’s new Wireless Charging feature for added convenience. 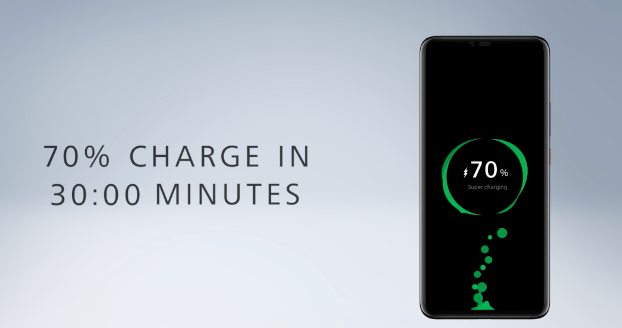 When low on battery, just place the Mate 20 Pro on a Huawei Quick Wireless Charge dock and get 30% charge in half an hour. No need to fumble with charging cables for quick top-ups in between your daily activities. 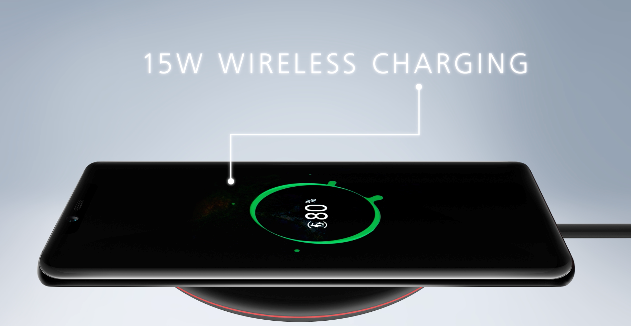 That’s right, the Huawei Mate 20 Pro supports Reverse Wireless Charging, enabling the phone to act as a rather beautiful power bank for other devices that support wireless charging. Simply place the device (like a phone) back-to-back with the Mate 20 Pro to trigger the feature. It’s certainly handy for emergency situations when there’s no power bank in sight. Charging technology on the Mate 20 Pro is just one awesome aspect of Huawei’s newest flagship. With its ability to keep up with even the most demanding of lifestyles, it’s no wonder professionals prefer the Huawei Mate 20 Pro as their daily driver. The Mate 20 and Mate 20 Pro is already available in all Huawei Experience stores nationwide, Smart, Globe Postpaid Plans and partners retailers nationwide. The Mate 20 Pro retails at PHP 49,990 and The Mate 20 retails at PHP 40,990. Consumers will also get a free one time screen replacement for their Mate 20 and Mate 20 Pro within one month from date of purchase. Visit https://consumer.huawei.com/ph/ to learn more.